England seamer Chris Woakes is confident that he can manage a problem in his right knee through an action-packed summer of international cricket. The 30-year-old Warwickshire ace struggled for fitness during the winter tours of Sri Lanka and the West Indies, but feels he has made good progress since returning home. It's just something which I have to manage and constantly maintain. 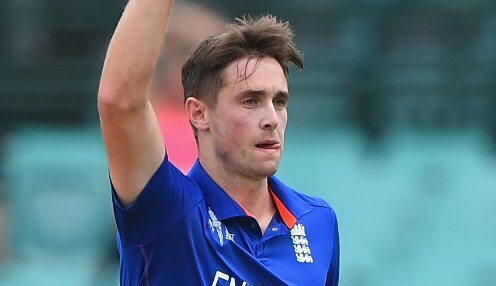 Woakes remains aware that he needs to keep a close eye on his knee and admits that at some point in the future he may need surgery to repair the problem. However, going under the knife is not necessary at the moment, with the World Cup and a home Ashes series coming up in the near future. He told Sky Sports: "I feel like I'll still be able to get through constant days of cricket. It's in a better place than it was in the West Indies. "Since getting back it's been good to have a couple of injections, settle it down, build a bit of strength around it and do a bit of rehab. I feel like I've turned a corner with it. "At the minute surgery is not an option. Further down the line, maybe at some point it might be an option. You know, injuries are part and parcel of the game and part of professional sport. "It's just something which I have to manage and constantly maintain. As a fast bowler you're always going to have something that's sore, so if that's the only thing that's sore I'll take that." England are priced at 9/4 to win the World Cup on home soil, while they are 4/5 to win back the Ashes by taking outright victory in the series against Australia.